Old things are passed away . . . When God wants to give you a do-over and a new beginning, you have to be willing to let go of your past, what you currently know, who you are, and what you possess in order to receive the new God has for you. It is always easy to hold onto your past, your old ways and the old you, because the thought of embracing or possessing the new places you in a vulnerable state and uncomfortable position which challenges your faith to step out into the uncertainty and unknown. When you look at homes or business places that are to be reconstructed by architects and carpenters, the owners of the home or business tend to be uneasy as they are not sure of how it will turn out. Nevertheless, they have to trust that the architects and carpenters knows exactly what they are doing. It may seem like your whole world is falling apart and you are losing everything and everyone around you, but be reminded, you cannot gain or get a hold of what you are not willing to let go of. Sometimes God has to rip apart and disrupt the old to make changes for the new. You can never get to your next level and remain at your current level. You cannot get to your new place and stay stuck in the old place. You cannot receive new people and new connections if you are unwilling to let go of the old people and old connections. God cannot renew your new man, if you stay stuck in your old ways. God cannot give you a new anointing, if you are too comfortable with the one you had yesterday. 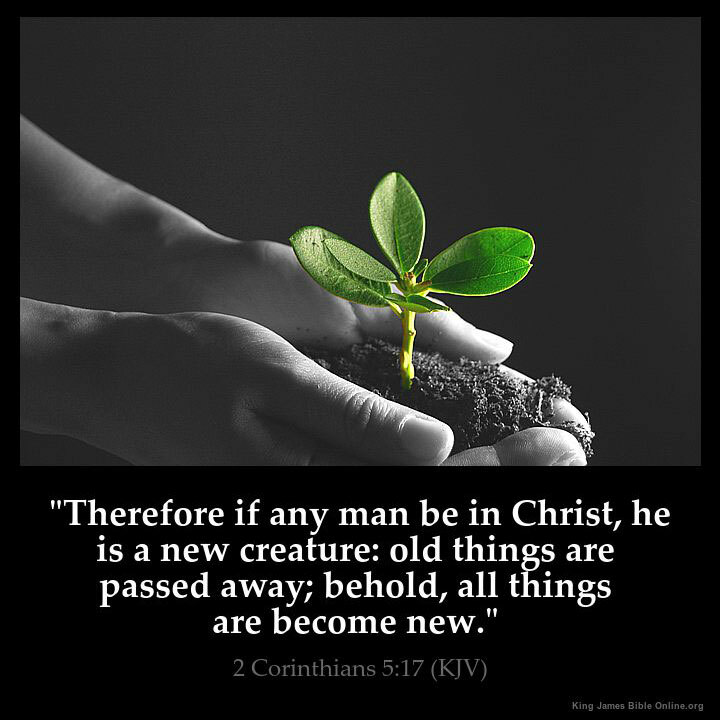 God cannot do a new thing in your ministry, if you are unwilling to let go of the old one. Sometimes God has to take you through seasons of not knowing what and how, barely making it, lonely, confused so He can prepare you for what He will give to you. As God’s child, always know that before God gives to you naturally He will first prepare you spiritually. He has to first develop your spiritual capacity so you can maintain what He will give to you naturally. Sometimes this is why all hell break loose and come against you and things that were not even a problem before becomes a problem, because He has to equip and prepare you. Transitioning and change can be the most painful and difficult because the enemy does not want you to take hold of what belongs to you. Hell will always put up a fight and be upset about what Heaven does in the life of God’s children, because he knows he is losing ground and his grip. As you stand in faith believing what God spoke to you and promised you, trust what He is doing. Refuse to feel the need of being in control or knowing everything He is doing. There may be bystanders or onlookers, but at this point in your life, it should never be about what people think or say about you. It is about you, your life and you allowing God to perfect that which concerns you. Trust in The LORD and watch Him do what He said even if it looks nothing like what He said. Sometimes it has to get worse before it can better. Sometimes He has to allow it to fall apart before it can come together. Choose to believe God no matter how hard or how painful it may be. God knows best. Rest assured He has your best interest at heart and He will not do anything that will destroy you. In ALL Circumstances Remain Pure! Sometimes people will use an error or past conflict which a person had with a particular individual as an opportunity to fight or release any secret grievance, hatred and anger that they personally had towards the person in order to get back at them. Be careful you do not allow the enemy to get you involved with or use you as a puppet or an instrument to hurt or get back at someone you never had a conflict or vendetta with.